Today was a big day at FMHS – we had a ground breaking ceremony for a garden that is going to be behind the school. It turned out that they could use all of the leaves and sawdust that have been hanging out in piles on the front lawn in the school’s new compost bins. 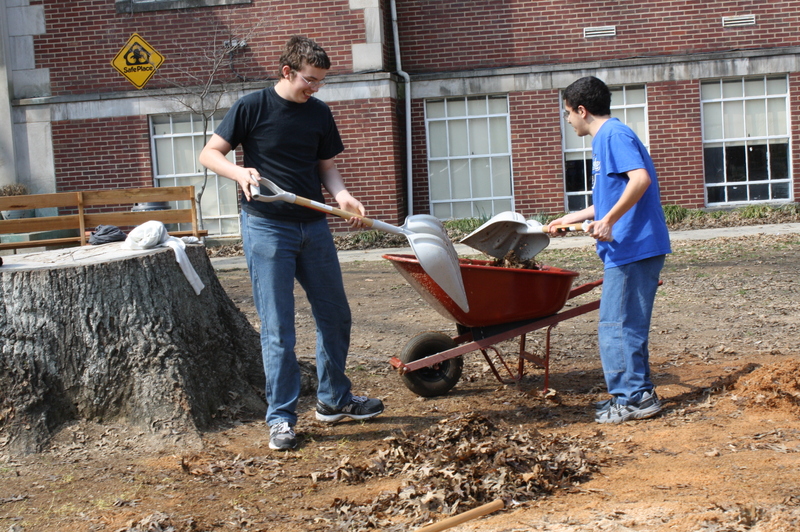 The Art 2 and Art 3 students needed to begin to ready the lawn for the sculpture building that will happen after spring break – so we began hauling all the compostable materials to the garden area. It was a great way for different groups of students in the school to benefit one another. 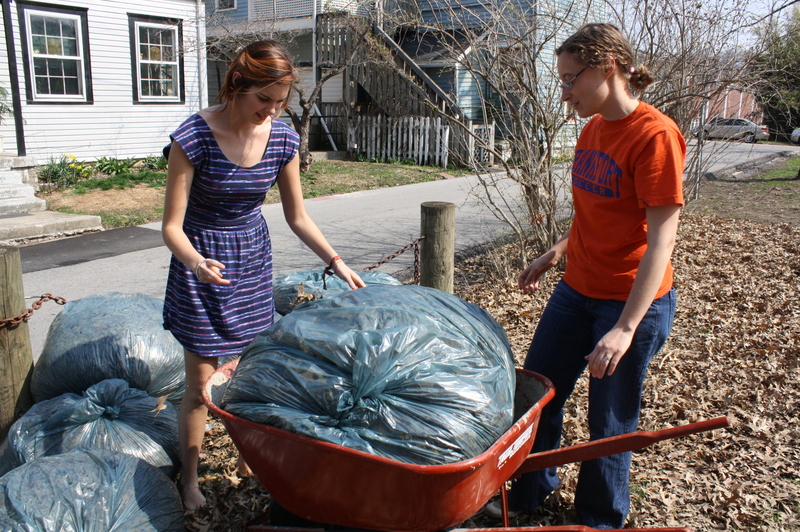 Placing bags of leaves into the wheelbarrow.